INDEPENDENCE — Because of the shutdown of the federal government caused by the lapse in appropriations, the National Park Service (NPS) has closed all 401 national parks, including Manzanar National Historic Site. All visitor facilities including Manzanar Visitor Center, barracks, mess hall, and the auto tour road, are closed. The site will remain closed until the government reopens. Superintendent Les Inafuku said that all Manzanar group tours and special events for the next two weeks have been canceled. Events scheduled beyond that may be canceled if the shutdown continues. Manzanar National Historic Site hosts 210 visitors on average each day in October; nationally, more than 715,000 visitors a day frequent the National Park System. Nationwide the NPS stands to lose approximately $450,000 per day in lost revenue from fees collected at entry stations and fees paid for in-park activities such as cave tours, boat rides and camping. Gateway communities across the country see about $76 million per day in total sales from visitor spending that is lost during a government shutdown. 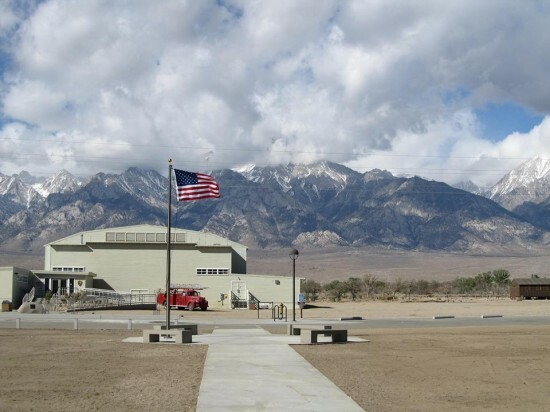 At Manzanar National Historic Site, 16 employees are on furlough because of the shutdown and another two Manzanar History Association bookstore employees are similarly affected. One employee remains on duty, providing facility security. Nationwide, the shutdown has also furloughed more than 20,000 NPS employees; approximately 3,000 employees remain on duty to ensure essential health, safety, and security functions at parks and facilities. About 12,000 park concessions employees are also affected. In Northern California, the Tule Lake Unit of the WWII Valor in the Pacific National Monument has also been impacted. “We’ll start the conversation again when we get back,” NPS staff posted on the Manzanar and Tule Lake Facebook pages. Because it will not be maintained, the NPS website will be down for the duration of the shutdown. NPS.gov has more than 750,000 pages and 91 million unique visitors each year.